The game of slots was first invented in 1891 in New York City. Developed as a precursor to the machines that we have come to enjoy, the first prototype was a rotating drum that held fifty face cards and was actually played quite similar to poker. It is an interesting fact that while some of these machines paid out in cash, the gambling laws in many states actually forced the majority of these games to pay out in the form of fruit gum. These devices were commonly found in saloons and in many less-than-reputable bars in major cities. Nonetheless, electromechanical variants were to be seen as early as 1940 and it did not take long for this classic form of entertainment to enter into our daily culture. This rich and colourful history has now given birth to virtual slots that can be enjoyed from the comfort of one's home or even via the use of mobile applications. So, let us take a brief look at the differences between reel slots and their virtual counterparts. It is first important to recognise that the ability to play slots online free with bonus games is one of the most attractive features in regards to 21st century gaming. As opposed to the reel version, modern online variants include a wide variety of bonuses and are not hampered by any mechanical hindrances. The result of this evolution is games with five or more reels, interesting game play, highly interactive platforms and even 3D options that are now emerging. Thankfully, the rules of the game have actually changed little over time. This will allow players of all skill levels to enjoy the nuances of these electronic versions in the very same way that they would partake in the physical gaming experience. These are but a handful of the reasons that online slots are proving exceedingly popular. 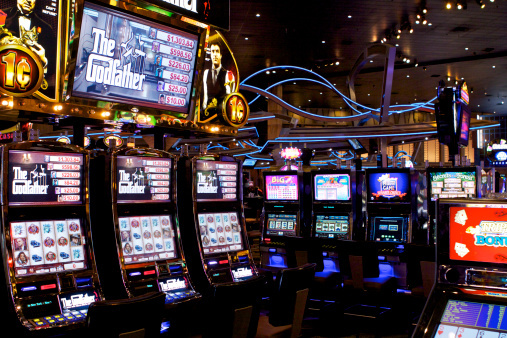 As opposed to their electronic counterparts, reel slots are the more traditional versions of the game. While they may not offer as many amenities, their tangibility and the physicality cannot be overstated. For many players, the bells and whistles of a payout followed by the silvery feel of coins in one's hand is much more appealing than a virtual win. There is also something to be said in regards to pulling a lever; many feel that they are more "in touch" with these machines than would ever be possible using Internet-based slots. However, there is little chance to play a round of free slots using the physical reels although this is compensated by what are often times much larger payouts than will be found in the virtual world. So, it is clear to appreciate that there are advantages and drawbacks to each version. It is nonetheless impossible to deny that the appeal of virtual slots has grown in recent times. This is partially due to their availability with a simple and quick download. In fact, even the United States military has made use of these virtual machines; the revenues generated reported to be well over one hundred million dollars. The only trade off is that the physical machines still appear to be somewhat more "trusted" than their virtual cousins. This is why it is important for all players to perform a robust slot review before downloading any software. Only the most respected sites such as slots lv should be used, as their payment methods are secure and their software is trusted. The main advantage that virtual slots hold over traditional reels is the fact that they are much more convenient. One does not have to physically walk into a casino to enjoy the thrills of winning big with only a few pulls of a virtual lever. Naturally, this has many of the most relevant social media platforms touting this benefit. Still, we should never discount the appeal and allure of reel slots machines. They represent the very real foundations from which their virtual counterparts have been birthed. Due to this fact alone, we should fully expect that both versions will remain rooted in popular culture into the foreseeable future. Whether we prefer the reel versions or instead choose to partake in a hand of virtual slots, the payouts are just as real and the game play can be just as exciting.